Dilly & Doc - Giving Old Things, New Life! We provide classes for every age & skill level. Perfect for Birthdays, Girls Nights, Office/Team Building & more! Our studio can accommodate groups of 8-25 participants. We are a BYOB studio and guests are invited to bring their own refreshments. 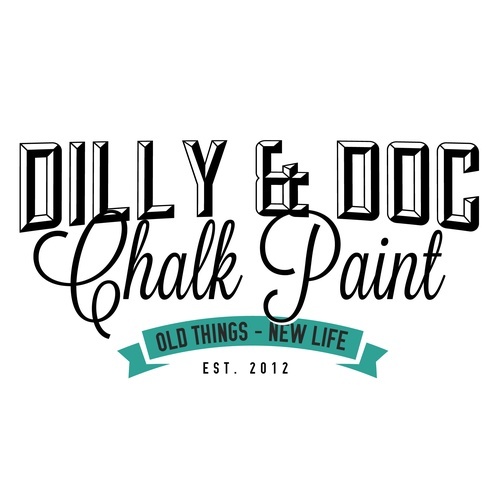 Dilly & Doc also carries a custom line of ''Chalk Paint'' in a wide variety of colors. Chalk Paint allows for one-step re-purposing of old and lifeless furniture without the hassle of striping or sanding. 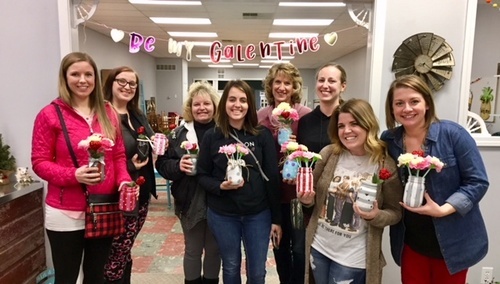 You can attend a Chalk Paint 101 Class to learn the basics or join us for a half day ''Furniture Flip'' Class where we will help you tackle on of your own pieces! 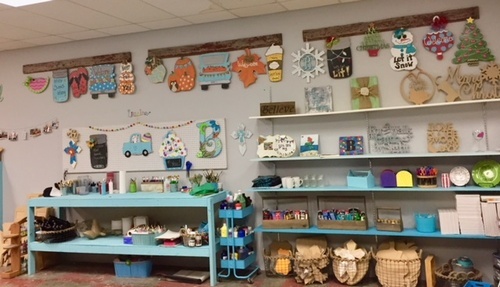 Dilly & Doc Chalk Paint is also available for purchase at Forest Avenue Antiques, located at 2025 Forest Ave in Great Bend, KS. 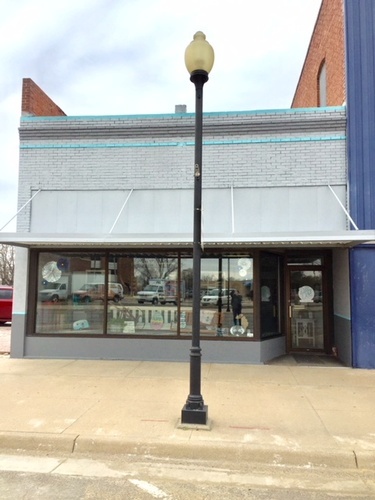 Opened in early 2018, visit us at 1119 Main St. in Downtown Great Bend, KS. 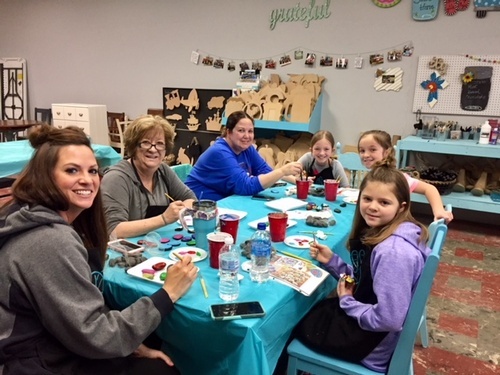 A full list of OPEN Classes can be found on our Faacebook Page or give us a call to schedule a private class for the date and time that works for you! 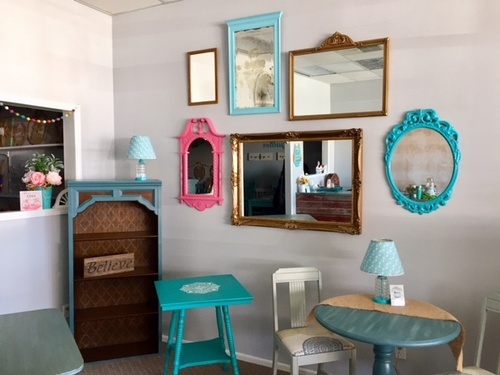 Retail Items - Dilly & Doc Chalk Paint, Re-purposed Furniture & More! Dilly & Doc is located at 1119 Main Street in Downtown, Great Bend, KS, near the corner of 12th & Main.